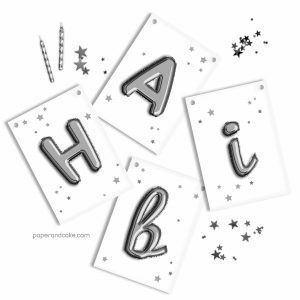 View cart “Silver Balloon Letters Birthday Banner” has been added to your cart. A ready-to-hang birthday pennant banner with mock gold foil balloon latters. A ready-to-hang birthday pennant banner with mock silver foil balloon letters.